1 ROSEGAL REVIEW! TIPS TO AVOID TRAPS! 1.1 ROSEGAL REVIEW: HOW TO BUY ON ROSEGAL? 1.2 ROSEGAL REVIEW ON THE QUALITY OF THE PRODUCTS: IS IT A RELIABLE SITE? 1.7 ARE PAYMENTS ON ROSEGAL SECURE? 1.8 ROSEGAL, SHEIN, PRETTY LITTLE THING: WHICH SITE OF FASHION TO CHOOSE? ROSEGAL REVIEW! TIPS TO AVOID TRAPS! Rosegal is an online store for fashion lovers. It was launched by an association of young fashionistas, sharing the same passion for vintage clothing, but modern as well. The vintage never dies, it is the very image of the sixties, where the fashion began to gain an important place in the society. Rosegal is also the special large size boutique. To guide you during your first purchase on this site rosegal.com, here is a Rosegal review about its reliability, and we discover the customer reviews to help you. ROSEGAL REVIEW: HOW TO BUY ON ROSEGAL? To make a purchase, you must first create an account. It only takes few seconds. To add items to your cart, sign in to your Rosegal account. You have all the tabs at the top of the page (New Arrivals, Plus Sizes, Tops, Swimwear, Woman, Man, Shoes and Bags, Jewelry, Accessories, etc). In each category, you have subcategories. For example, in Plus Size, you have Dress. Once you are there, you will immediately notice discounts ranging from 40 to 70%, impossible to miss without buying. In addition, the photos are real. To make a purchase, click on the product and then on ADD TO BAG (do not forget to select the color and the size of the item of your choice). Do the same thing to add more items and when you have finished your shopping, click on PASS ORDER. ROSEGAL REVIEW ON THE QUALITY OF THE PRODUCTS: IS IT A RELIABLE SITE? First, what flatters are the real photos that are found in the catalog and on the homepage. The products are irresistible at the first sight, whether vintage clothes or more modern. But we are still skeptical about the actual state of their products, since the images are apparently retouched. The Rosegal style is feminine, flowery, pink, in short, that’s all we love. Here we talk about aesthetics and sewing. But what about those who have already made a purchase on the site? The girls will be spoiled by the wide variety of items, the catalog is full. You are spoiled for choice, for the price and for the beautiful things that the shop sells. The inventory is quite similar to what you will find on Zaful. You will know more about this site in our Zaful Reviews. Just at the top of the home page, you’ll find FREE SHIPPING. Well, what does the people want? The products are nickels, competitive prices, free shipping. But what about the delivery time? The delay is random. Indeed, it changes according to the method of dispatch and the country of destination of the parcel. There are 4 methods on Rosegal: Flat Rate Shipping, Priority Direct Mail, Standard Shipping and Expedited Shipping. You will see the details on this link: https://www.rosegal.com/shipping/ . Note that Rosegal delivers in all countries, without exception, and again, it’s a big plus. On average, shipping is between 8 to 45 days. Rosegal’s shipping partners are DHL, UPS, FedEx and EMS. In any case, they are the best and most reliable international carriers. Also, customers seem all satisfied with the delivery time. “I ordered bags for the birthday of a friend of my daughter, we received them quickly, I recommend”. After the receipt of the order, the products pass in quality control, they are packaged by the care of the managers at Rosegal. These treatments last about 1 to 3 days depending on the product, its quantity and complexity. If there is any need for customs clearance, or if the order is made during Chinese holidays, it takes about 4 days more. Delivery is free on Rosegal. This is the first criterion that attracts foreign customers. When the parcel arrives, you will not pay anything. But indeed, considering the customs fees, it is as if you pay anyway. Nevertheless, users do not complain. So, in summary, the items are returnable if they are defective, soiled. But if they are not at the size ordered, or they do not match the order, in this case, the site no longer accepts them, which is to say, if the 30 days passed, you had time to wear them. Some categories are not returnable (such as jewelry, lingerie …). ARE PAYMENTS ON ROSEGAL SECURE? Rosegal Wallet (the fastest, most efficient and secure method of using your account to pay directly, follow this link to learn more: https://www.rosegal.com/rg-wallet/). ROSEGAL, SHEIN, PRETTY LITTLE THING: WHICH SITE OF FASHION TO CHOOSE? 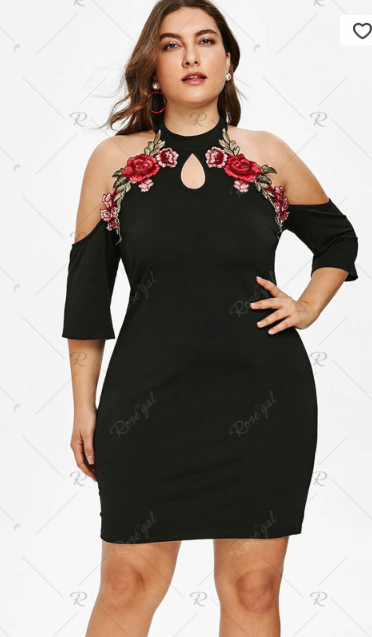 It is guaranteed, Rosegal is a site not to be missed if you like vintage fashion, plus size fashion or modern fashion. With a very full catalog, opinions are for the great majority positive. Fast delivery for some countries.